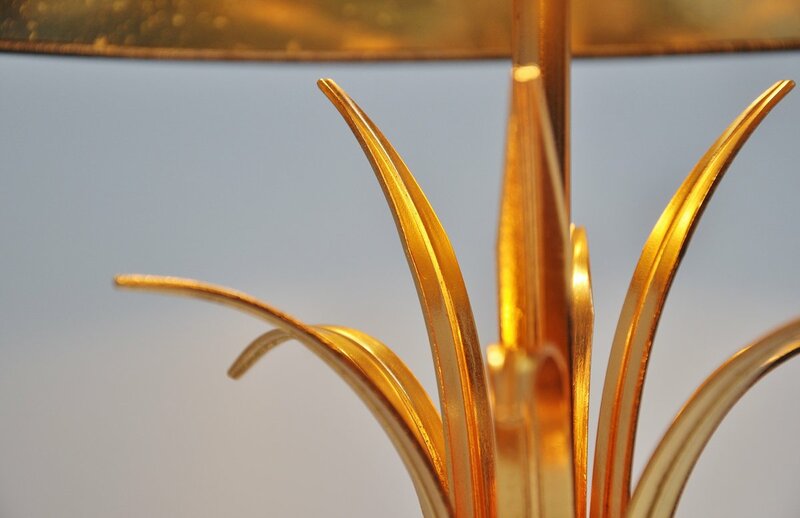 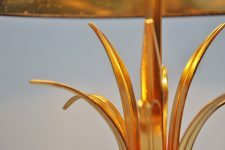 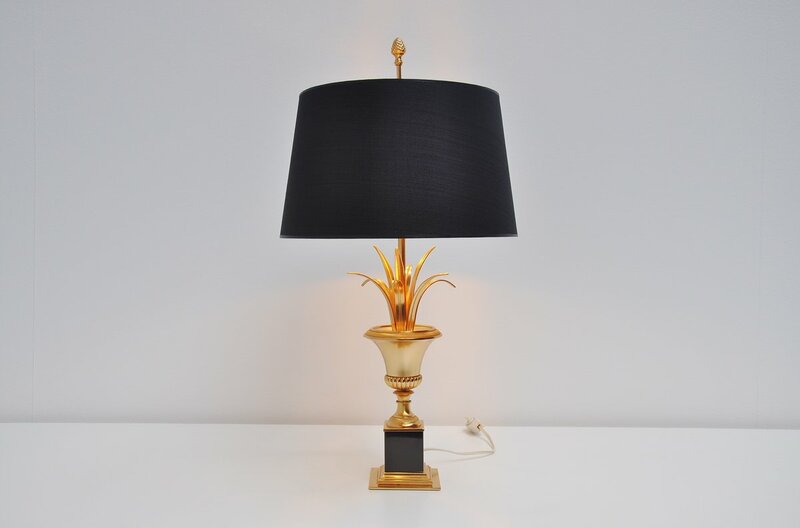 Very nice small palm motif table lamp attributed to Maison Charles, France 1970. 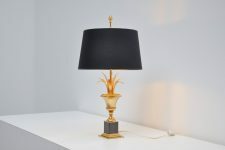 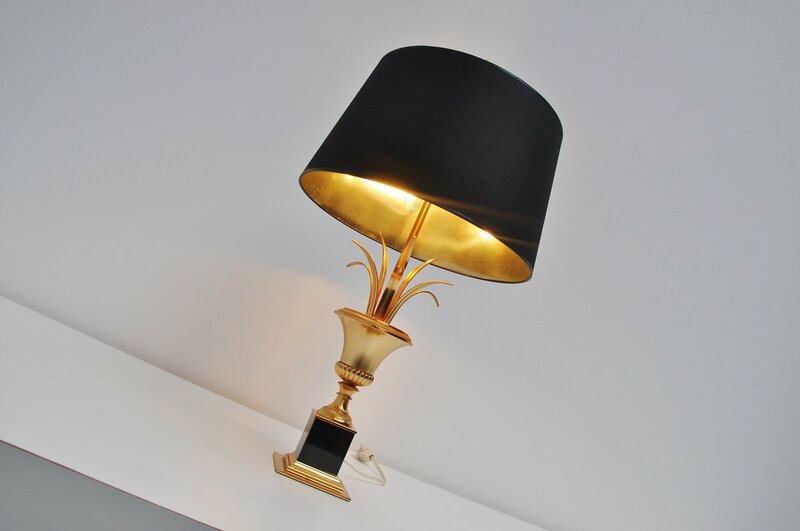 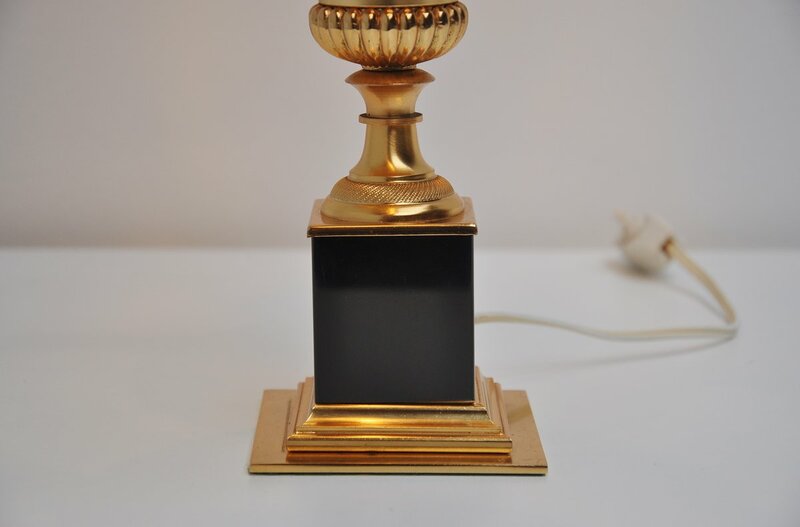 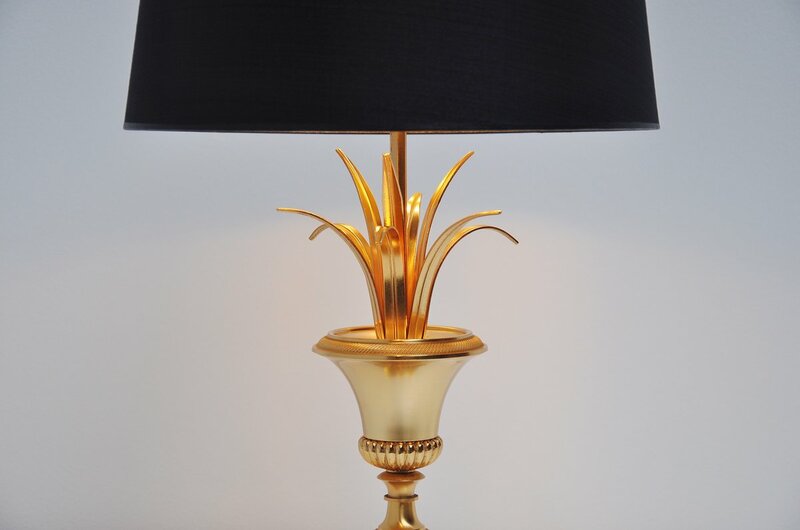 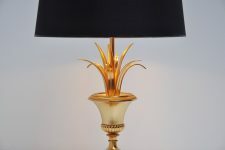 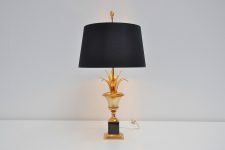 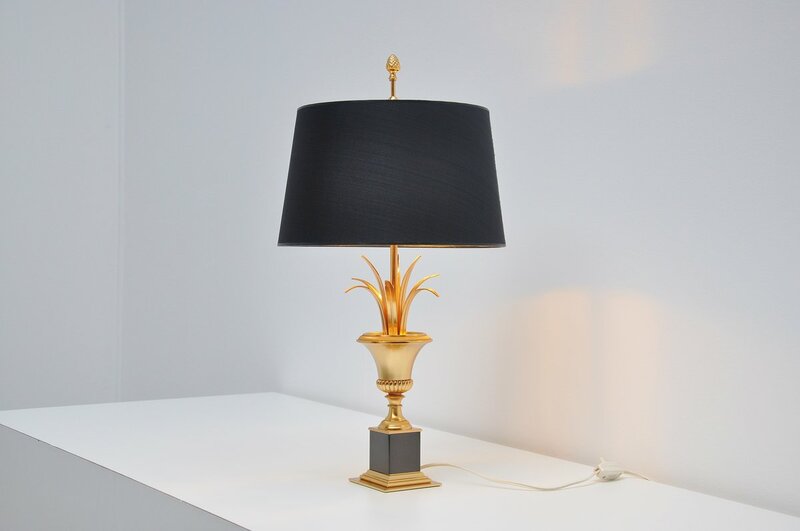 This palm motif lamp has some very nice brass details in combination with black is very nice. Black shade with golde inside, gives very nice warm light when lit and uses 2 E14 bulbs up to 60 watt each.